Established for more than 27 years, Anglia Indoor Karting has earned a reputation for providing the finest high-speed entertainment in the area. The Karts are easy to drive, with no gears or clutch pedal – simply brake or accelerate! 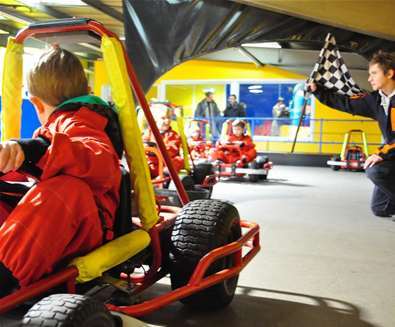 The fleet consists of kubz karts, cadet karts and adult karts. Providing the perfect adrenaline-pumping action for children, adults, groups and companies, you'll find an event to suit every occasion, be it a birthday, anniversary, a friendly challenge to one of your competitors or colleagues or just to give kids that taste of life in the fast lane! There's a wide range of special events and offers; 'arrive and drive' sessions, 'kubz karting club', happy hour and 'access karting club' for those with limited mobility, learning difficulties, and other special requirements, among many other packages and events. Experience the thrill of karting yourself - visit the website or call for more information.